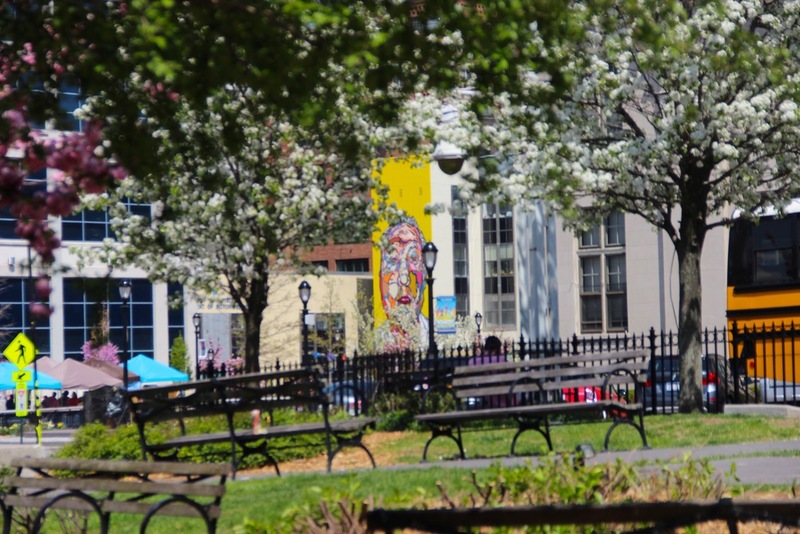 Yonkers Arts Weekend 2016 will welcome New York's premiere street artists Eelco van den Berg, Werc Alvarez, Damien Mitchell, Fumero as well as local artists Leo De la Cruz and Ilana Price. 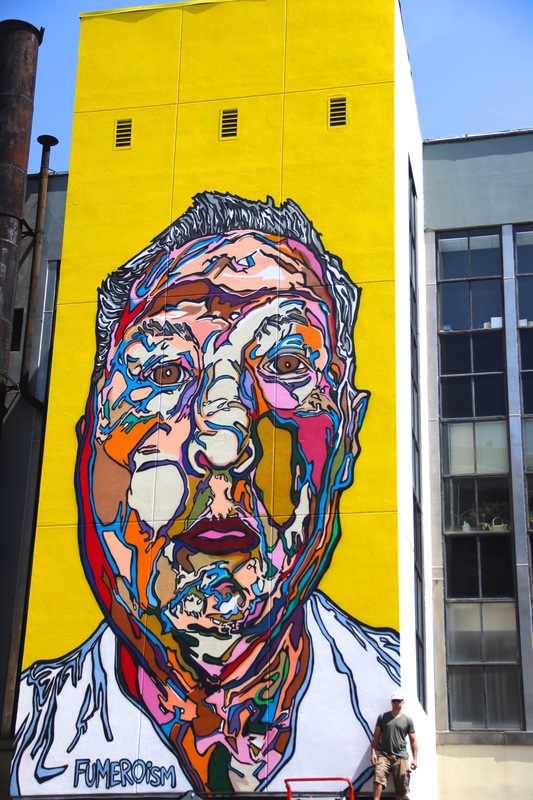 From Wagga Wagga, Australia, Damien Mitchell now paints mostly on walls around Brooklyn NY where he lives with his wife. Drawing on his experience with smaller stencil projects, his freehand, larger walls often have a similar stenciled appearance. Subjects can vary from local residents to cultural icons, urban landscapes and beyond. Damien painted a portrait of Yonkers artist collective BleedCulture member Sean Carter as part of Yonkers Arts Weekend 2015. Check out that project and some of his other work below! EELCO “VIRUS” VAN DEN BERG (b. UDEN 1974) IS A PAINTER, MURALIST AND ILLUSTRATOR BASED IN ROTTERDAM, THE NETHERLANDS AND NEW YORK. THE DUTCH MULTI-DISCIPLINARY STREET ARTIST CREATES PSYCHEDELIC LANDSCAPES WITH THE UNIQUE COLOR PALETTE HE DEVELOPED MOSTLY ON THE STREETS OF NEW YORK. HE GOT MESMERIZED BY HIP HOP & GRAFFITI DURING ELEMENTARY SCHOOL, WHICH STILL GREATLY INFLUENCE HIM. HIS WORK IS MOSTLY HAND-DRAWN & STANDS OUT WITH ITS STRONG USE OF COLOR, MOTIVES, OUTLINES & DECORATIVE ILLUSTRATIVE ELEMENTS IN A SURREALISTIC POP ART STYLE. HONORED TO BE NAMED ONE OF NYC'S TOP 10 STREET ARTISTS, EELCO IS NOT JUST LVING THE DREAM BUT PAINTING IT AS WELL. HIS BOLD AWARD-WINNING GRAPHIC WORKS HAVE BEEN COMMISSIONED BY NUMEROUS BRANDS INCLUDING PHILIPS, LEVIS, SENSEO, JACK DANIELS, HEINEKEN, & THE GANSEVOORT HOTEL. HE IS A GUEST LECTURER OF ILLUSTRATION AT THE WILLEM DE KOONING ACADEMIE. @12 Main St. Sat. & Sun. At the age of thirteen, Fumero began to create graffiti-style lettering starting with colored markers on paper and ventured onto walls with simple tags and bubble-letter-throw-ups. Drawing cartoons as a child is how he spent his free-time until his focus shifted toward abstracting three-dimensional block letters that incorporated more elaborate designs and backgrounds which led a pathway into the world of graffiti art. Graffiti became the next phase in the development of Fumero’s artistic evolution because it was simply an added extension of cartooning that opened the door for the exploration of line, shape and color through letter designing in new and dynamic ways. At the age of thirteen, Fumero began to create graffiti-style lettering starting with colored markers on paper and ventured onto walls with simple tags and bubble-letter-throw-ups. 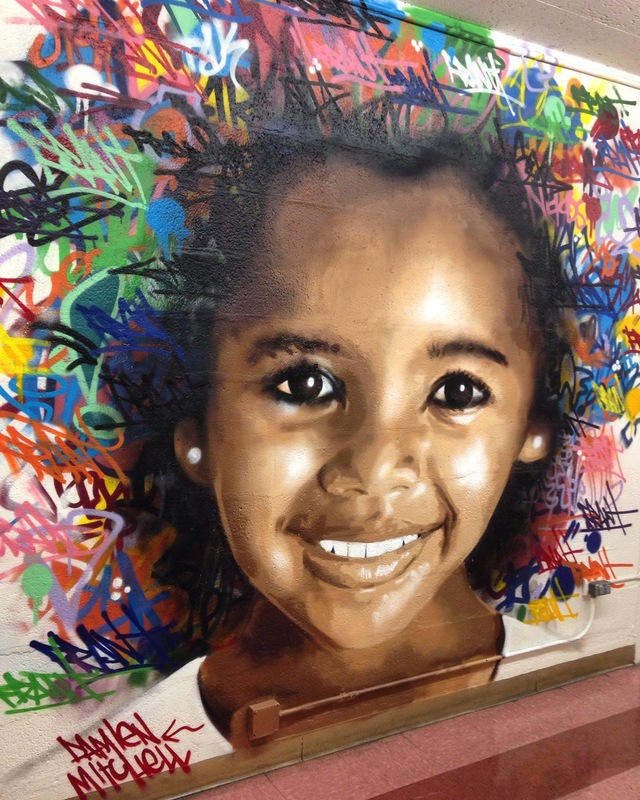 By age fourteen, Fumero completed his first 4 colored mural. The remaining teenage years focused on graffiti art and the development of his cartoon characters, letter styles and color schemes which filled his sketchbook. After high school Fumero attended community college for graphic design and continued his art education at the School of Visual Arts in New York City as a cartooning/illustration major. While attending SVA, Fumero was exposed to figure drawing and caricature classes which combined with graphic design and cartooning fused them all together at a crossroads which developed a personal style and the infancy of Fumeroism was born. The decorative embellishments of the wild-style letter designs have evolved over the years transforming into a dynamic energy that can be seen with the abstracted imagery of his subject matter. Fumero’s unique approach to the exaggerated figure, colorful scenescapes and non-objective abstract compositions has added an exciting look to the American pop culture scene of contemporary art. The combination of his graffiti style and fine art illustration Fumero refers to as grafstract expressionism which he is credited with coining the term. There is a harmonious interaction among bold contour lines, and shapes filled with vivid hues. Within the contours of the hard edged shapes are intense contrasting colors that interact with each other, creating a moving energy that powerfully projects outward and catches the attention of the viewer. Fumero is a professional artist based out of his Bushwick, Brooklyn studio and is one of the premier street artists in New York. His fine art can be seen all over the city in the form of public pasted paper art and murals. 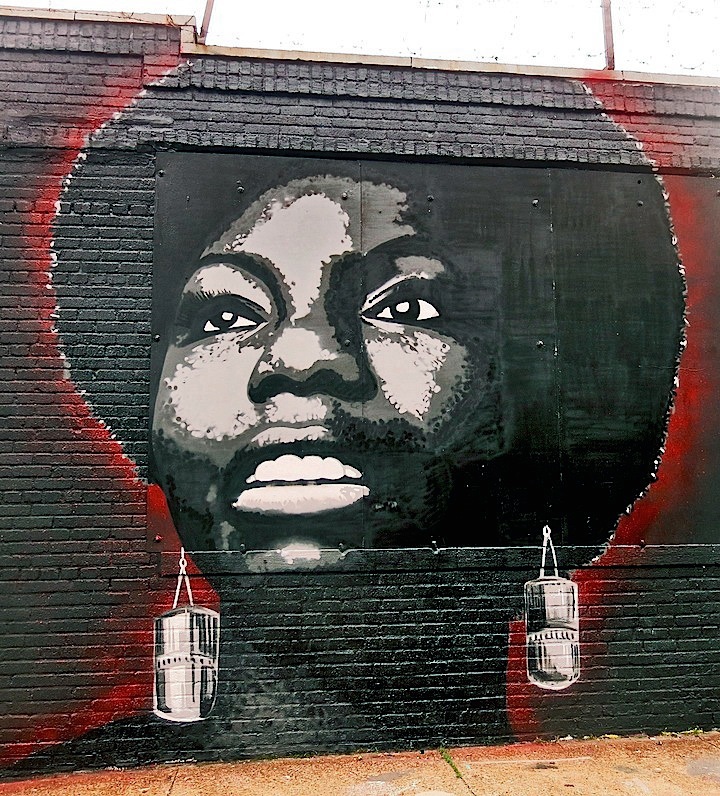 His work has been published in magazines and newspaper articles, street art books, featured in music videos, television shows and blogged about on the internet. He is also active exhibiting his paintings in galleries in NY and Miami. Fumero is an international artist who has brought his widely recognizable brand of Fumeroism beyond the borders of the five boroughs of NY painting murals in Miami, Chicago, Detroit, Berlin, London, Brazil and Italy. He created and uses the term grafstract and this has been documented in a post on Fumeroism.com in March of 2011. He specifically writes about grafstract being the core of fumeroism and have a gallery categorized as grafstract expressionism. In 2011 he was selling his art products in public commerce. He has sold many works of art at gallery shows and mural commissions by promoting his grafstract as a division of fumeroism since 2011 as seen on fumeroism.com. "My mother would give my sisters and I still life lessons and draw with me on the docks when we went camping. Being creative and learning to reach the deepest areas of my imagination as a young child has only helped me with my creativity and problem solving abilities as an adult. 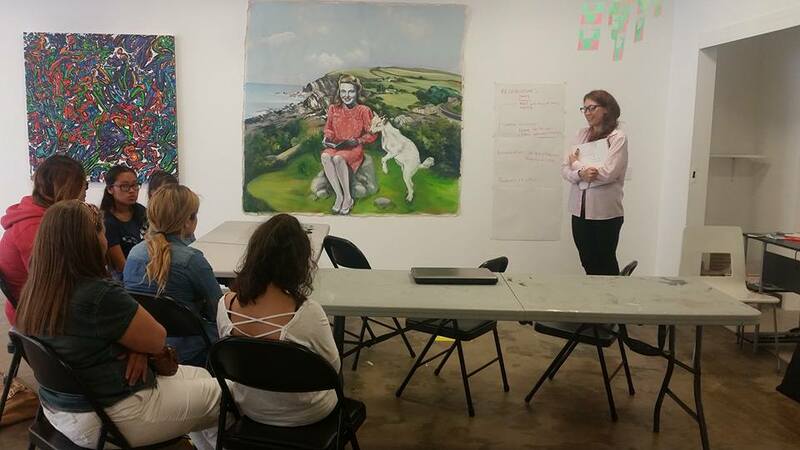 Art is important for every child to experience and can be such an amazing tool in the development of character." 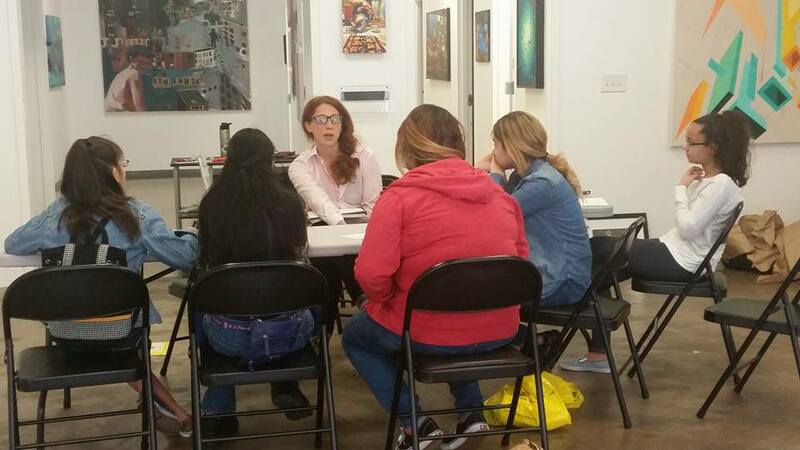 Artist Ilana Price will be working with a local youth group via the Mayors Hispanic Advisory Board to create a community themed public mural. 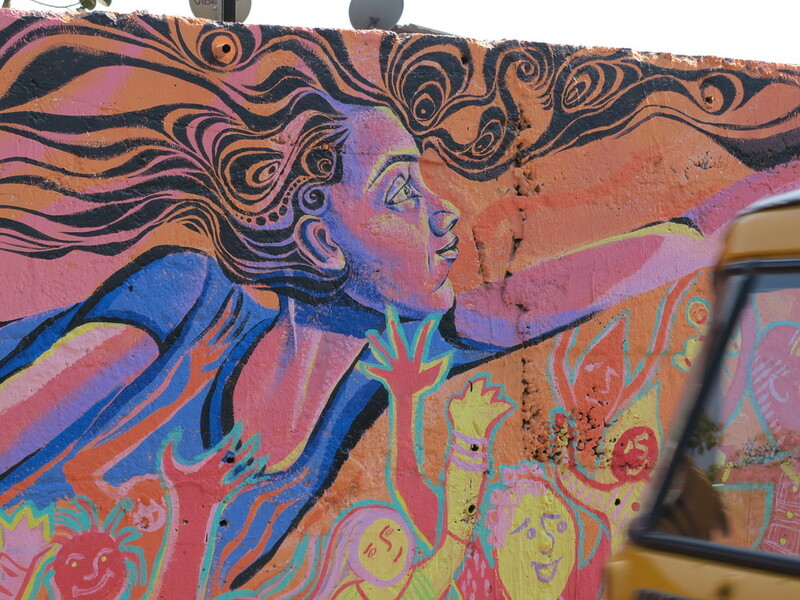 Ilana's most recent work includes a mural in Mumbai , India ‪with the ShantiArts for Action Program and at Art Basel Miami at Wynwood Walls. Leonardo I. De La Cruz is Yonkers based artist and designer born in Dominican Republic. His work is a reflection of growing up in the caribbean and the lifestyle of NYC where he attended college. This mixture of cultures lead to the creation of juxtaposed imagery in different media that reflects the artist background and new experiences. He is also a graphic designer and runs a small fashion label using the same juxtaposing ideas that is seen in his artwork. @131 New Main St. Sat. & Sun. Jari WERC Alvarez was born in Ciudad Juarez, Ch. MX. (1980), and grew up in El Paso TX. USA. It is in this border where it all began for Werc; 21 years ago he became part of the graffiti movement and began his artistic career. 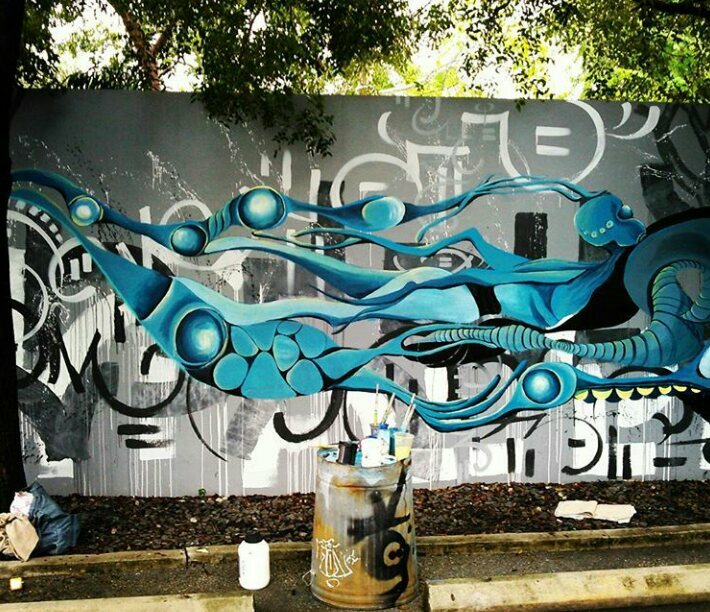 WERC’s is the Shaman of graffiti art, his works influence healing properties. WERC's work is an aggregate of culture, symbols, graffiti & design. WERC’s work brings wonder into the urban environment with a free-flowing aesthetic, inspired by the dream like nature of surrealism & grounded in geometry. WERC explores the balance in the aspects of duality and the politics of identity & believes art can weave communities thoughts and aspirations. WERC knows the magic that Public Art can bring forth, within his practice he creates opportunities that nurture creativity, provoke dialogue, cultivate relationships, and activate spaces.